Hey Everyone! Hope you are all okay. First of all I apologize for how empty my blog has been. I've literally been working non-stop lately with barely a day off and I've also had my uncle here from Mauritius so I have been showing him the sights and everything but I am officially back now so blogging will start becoming more regular again. 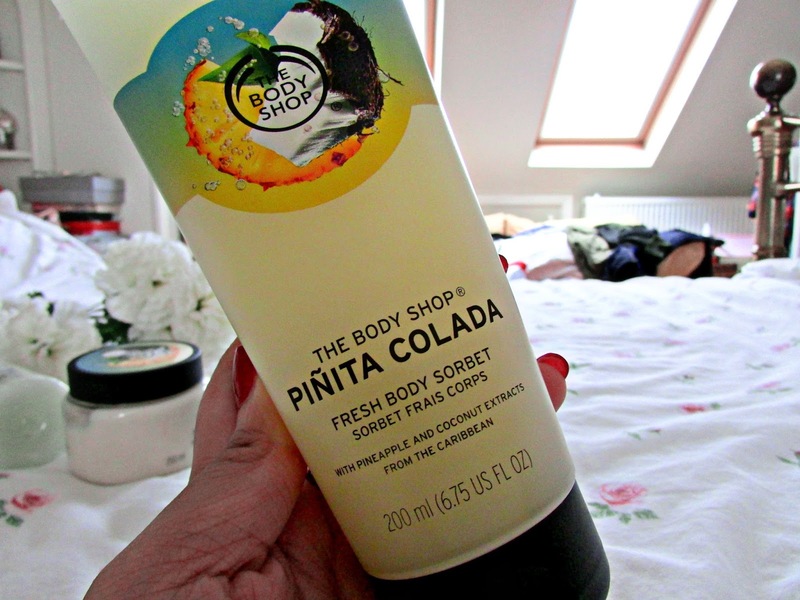 Today I thought that I would tell you all about my new body shop obsession...The Pinita Colada Range. I love the fact that they've called it a pinita colada instead of pina colada as that kinda says there's no alcohol in it which is quite good I think. Anyway, moving on. Now I know that this range was released about two months ago however with me being out of the country for a month and then having to dive straight into work I haven't really had the time to go out and try it however I purchased it last week so I thought I would share my thoughts with you. 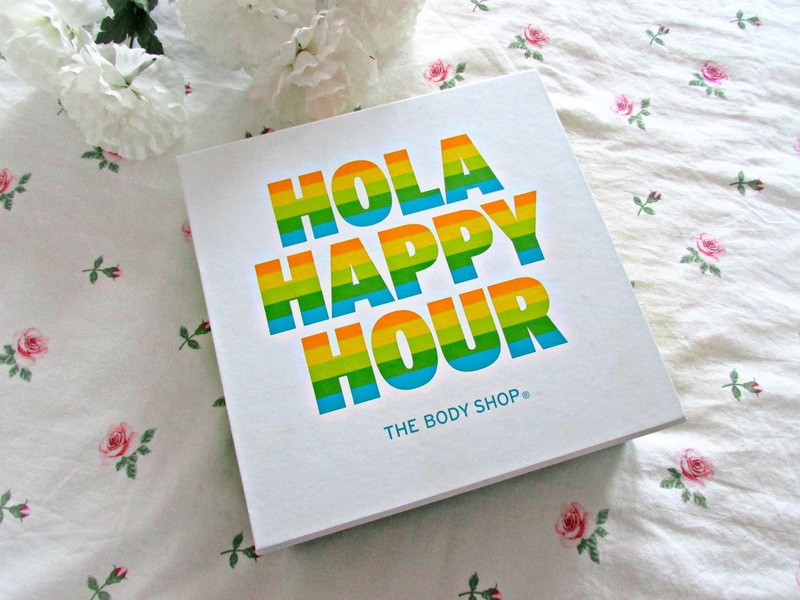 It's been a while since The Body Shop have bought out a range that I really, really love so I was extremely excited when this landed in store and online. I've always loved The Body Shop. Their body butters are some of my favorite products to ever exist and I especially love the Mango scent which is one of their permanent signature scents and another scent which is seasonal but still a favorite of mine is the Glazed Apple scent. I'm obsessed with everything apple related and also mango related. As you can tell I tend to head towards the sweeter scents so it'll come as no surprise to you that I just had to pick up this collection from The Body Shop. Pina Colada's happen to be one of my favorite drinks and it just screams summer so I had to purchase it. I decided to head down to my local body shop store which happens to be located in Uxbridge and I was shocked to see that most of the range was sold out. The sales girl instantly saw my disappointed and helped me the best she good. All that was on stand was a big shower gel and the body sorbet with minature body butters but I wanted to purchase the scrub and body butter at full size. She then went on to tell me that the scrub comes with a full size along with the body butter but sadly it was only in a gift set. She then said they had one last box in the back and would I be interested. I obviously said yes and the rest is history. I couldn't be happier with my purchase. First of all can we just talk about the colour scheme of the box. I mean I don't know about you but it instantly makes me think of summer and solero ice creams. I absolutely love it. I think it's just so bright and colorful and just instantly grabs your attention and makes you feel instantly happy. I also love this quote as well as it is just so true. 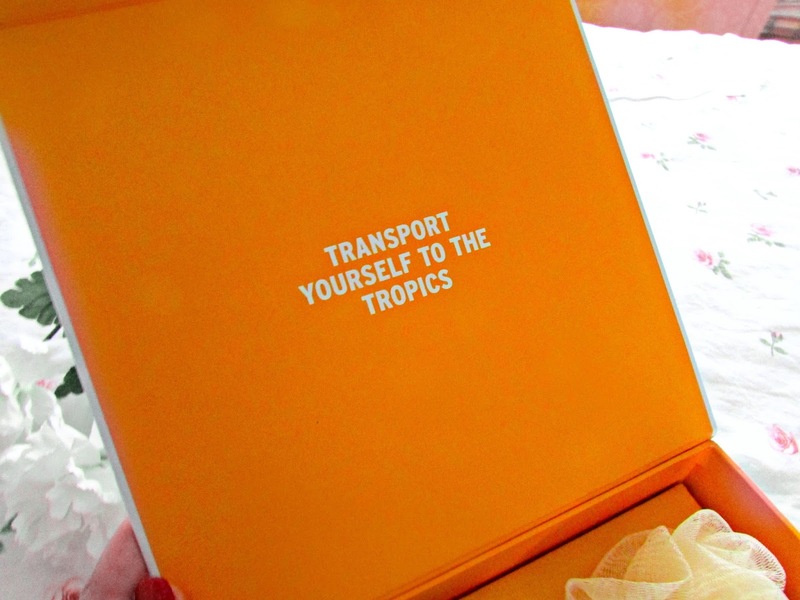 Every time I use the products I always close my eyes and I'm instantly transported into some place exotic. What more could you ask for really? Inside this little box there are a range of amazing products. A body scrub, shower gel and body butter along with a little loofer as well which I personally don't like as I think the size is too petit for my liking. When I was in the body shop I also decided to get another two items. I decided to purchase the bigger shower gel because I'm obsessed and also the sorbet because I've just heard so much about it. I can't remember how much this all cost me but I can assure you it was worth every single penny. Let's get the boring item out of the way first. Yes I am going to do a mini review of a loofer. Please do not judge. I personally love loofers. I think they lather body wash up really well and they are an amazing exfoliate. If I've ever run out of body scrub then I find these a great alternative. However there is something about this one I just don't like. I think it's a bit too small to use personally like on a normal every day basis. I don't find it lathers up that well either. I mean don't get me wrong it definitely leaves me feeling clean but I just prefer bigger ones. I do however, think that it would be ideal for holidays and scrubbing down after a day in the sea or in the pool. I can't believe I've just finished reviewing a loofer. ha ha ha. This came inside the little gift box above. Pinita Colada Shower Gel: This stuff is incredible. I absolutely love the scent. It has got hints of pineapple and coconut within it and just smells absolutely divine. I love how this makes my skin feel once I've used this. 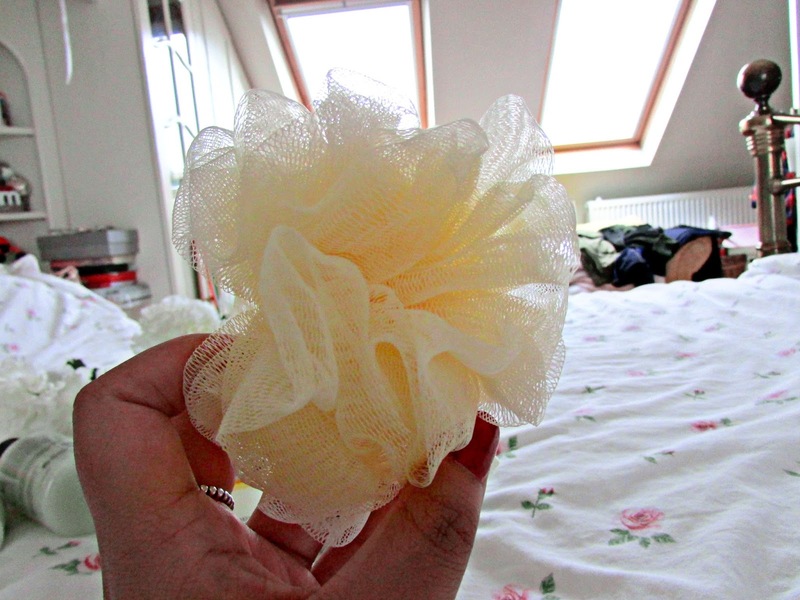 It just makes it feel so fresh and clean and really super soft which is amazing. This and the body scrub together are literally the dream team. I just love them so much. The small bottle was inside the gift set but on it's own it RRP is £5 which I think is a bargain for a scent and product this good from the body shop. Pinita Colada Exfoliating Cream Body Scrub: This is perhaps one of the most amazing scrubs I have ever used. Like most people I am mostly used to using sugar scrubs that just work an absolute dream but I have never used a cream scrub before and I was most intrigued. This scrub contains little specks of coconut that act like the exfoliate. It's really soft and gentle on the skin however it leaves it feeling absolutely amazing. My skin is noticeably softer and smoother and it obviously ends up smelling absolutely delicious as well. This also came in the gift set and is the main reason why I got it because my local body shop was out of scrubs. However it's RRP is £15 which is slightly pricey but I do think it's worth every single penny. 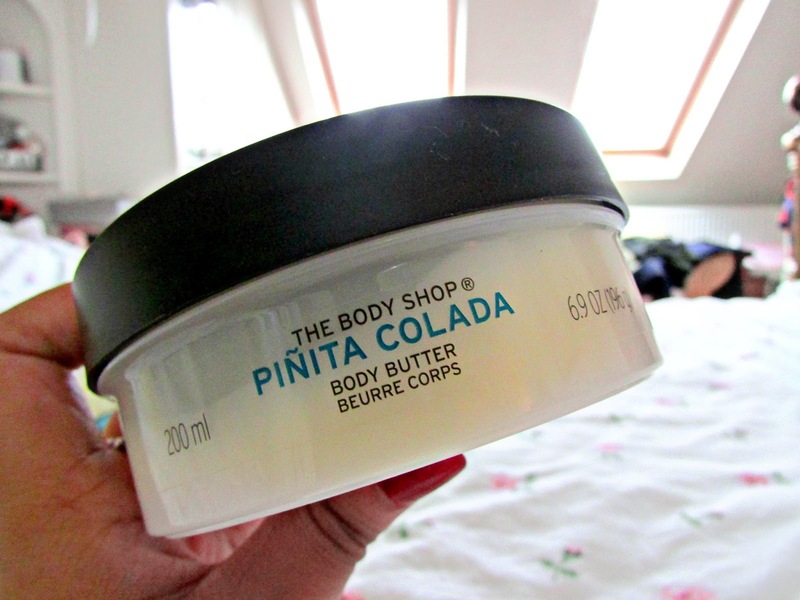 Pinita Colada Body Butter: The Body Shop definitely holds some of my holy grail products and their body butters are right up there with products I will forever repurchase. When I found out there was going to be a body butter in this scent I was super excited as it smells like summer and is just so incredibly hydrating and works wonders for the skin. I use this every single night after I've had a shower and just drench myself in it. What I love is that it doesn't take forever to sink into the skin which makes them perfect to use all year round. I would highly recommend this product from the range as it'll last you ages. The price of this body butter is £14 which I think is just a pound more than their other body butters but correct me if I am wrong. 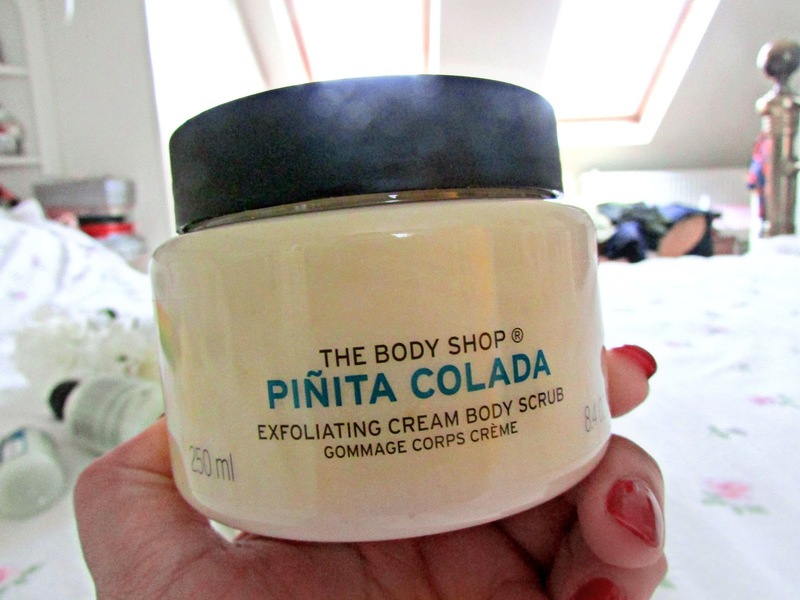 Pinita Colada Body Sorbet: Oh my god, I cannot tell you how much I love this product. This and the body scrub are definitely my favorites from the range. I just find this sorbet so unbelievably cooling and hydrating. I've never really heard of a body sorbet before so I was definitely most intrigued with this product and I have to say it hasn't disappointed. It's just so refreshing on the skin. It's a really light weight moisturiser that's perfect for refreshing tired and dry skin. It's definitely one that's perfect for on the go use. My top tip for this is to stick it in the fridge. With all the hot weather the UK has been having at the moment trust me, I'm not exaggerating when I say that this has been an absolute dream to use on the skin after showers and for a quick refresh at work. The sorbet retails at £8 which again think it's pretty good for the quality. This never came in the gift set at all but I really wanted to try it so I splashed out and got the entire range at once. So as you can see I am totally and completely in love with this range. It's one of those ranges that once you've smelt it and used it instantly uplifts you and puts you in a good mood. If you haven't tried it yet then I would highly recommend you get down to The Body Shop ASAP as it is coming towards the end of summer now and this collection is limited edition. I think a few body shop stores have gift sets like the one featured in this post and it retails at £25.00 which considering what you get in it is pretty fab! Which of these products do you like the sound of the most? Have you been lucky enough to try this range? Which products are your favorite?